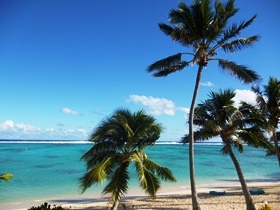 In 2014 a group of students taking Te Reo Maori at senior level travelled to Rarotonga to experience their culture and to share Maori culture. 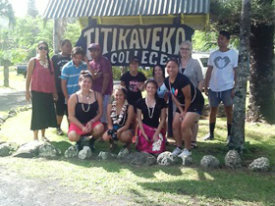 Titikaveka School hosted us. 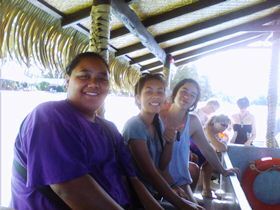 It was a brilliant trip with many highlights, including drum dance performances, beautiful beaches, stunning market places, wonderful young people, welcoming families, snorkelling, Rarotongan food, visiting the Cook Island Church, listening to traditional and spiritual songs, learning how to hula and travelling to mountain tops for history lessons. Another exchange is set to occur 2016. 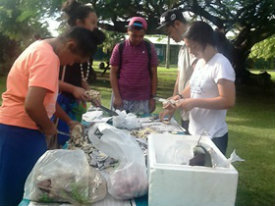 A Report from the Students..
From Friday 2 May to Saturday 10 May, 10 senior Te Reo Maori Students visited Rarotonga for a Cultural Exchange. 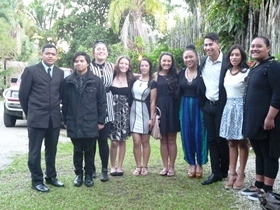 The students were: Lute Sikalu (Head Girl), Eli Kaleta (Head Boy), Sarai Mckay, Hudson Read, Olivia Riggs, Shanaia Panapa-Ruri, Devoe Allen, Rosie Kennedy, Henry Samuels and Aussie Koha. 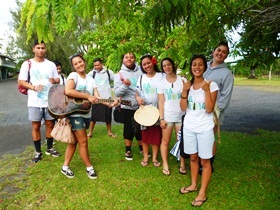 Whaea Leauga accompanied the group and Ms Ridling arrived soon after to join the group. 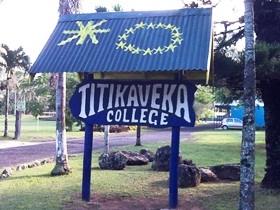 Titikaveka College was our host school and we enjoyed learning skills such as Lei and ei making, preparing kai for an umu, hula dancing, drumming and weaving. Furthermore the group were invited to perform at the Award Winning Highland Paradise as guests on stage for a large audience. 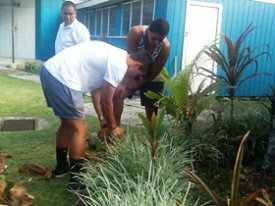 Basic Cook Islands Maori words were learnt and many great friendships were made during our stay. 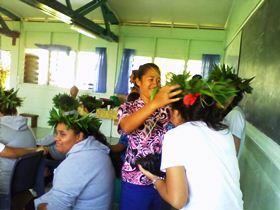 One evening all students presented speeches expressing their gratitude to their host families and the school, and presented gifts and a taonga to the Principal Mata Hetland and families (Mr and Mrs Rangi. Mr and Mrs Tuoro and Mr Napa, and their children). Lynfield Students also performed the School Haka and a repertoire of waiata as appreciation towards all who displayed manaakitanga. Mihi atu ki nga tangata katoa kia pukumahi mo tenei haerenga. Hei hua he wheako miharo ma matou.